I consider myself an avid fan of beer, nay, enthusiast. I read beer books, I cellar my own beer, have contacts in the industry and study beer from different perspectives as much as I can. Now, how I missed something like Zwanze Day, I’ll never know, but there I was on vacation in Toronto(you know the center of Canada) with no clue about the fun that was in store. I had plans of re-visiting several places I enjoy there, including the always lovely Fahrenheit Coffee(please check this place out if you’re ever in the area it’s probably the best cup in Canada and say hi to Sameer while you’re there) and a recommendation to visit a small, locally owned, craft centered, pub called barVolo. After receiving the recommendation I immediately headed to their website to see what the offerings were like. The site showed a very comprehensive list of local Ontario offerings with six real ale taps and twenty-six regular taps, impressive! I was excited to visit this obviously dedicated beer bar but there were still some surprises ahead. 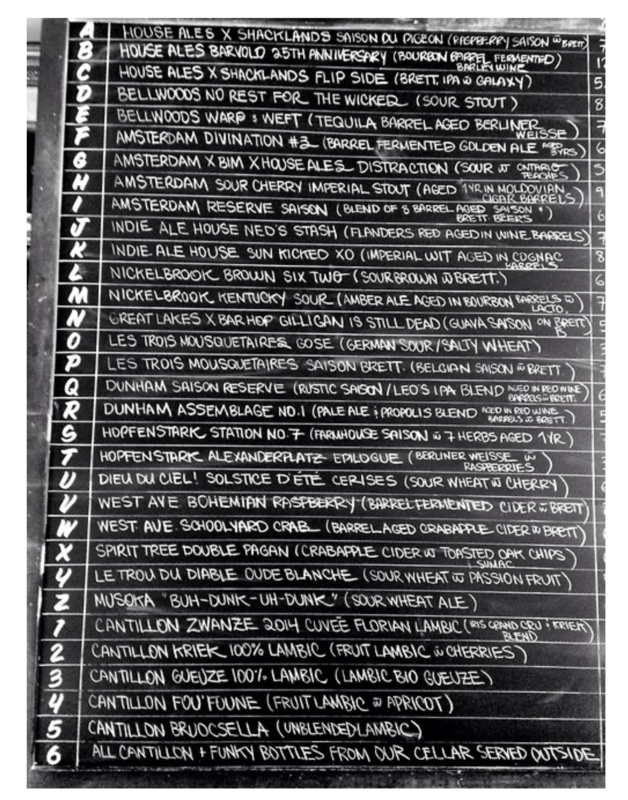 On the day that I had a moment to head to the pub I checked the online tap list and noticed that all the beer was sour and there were a ton of Cantillion offerings. I had a hunch that there must be a special event going on, based on the uncommon Cantillion offerings. My brother-in-law and myself showed up at barVolo on a Saturday afternoon around 4pm only to notice a bunch of bearded beer lovers with all their collective noses jammed in the exact same glasses. “Private event, ticket holders only, return at 7pm when we open to the general public,” said the lovely woman at the door; the tickets had sold out in thirty seconds a month prior. Damn, no way to get in. We turned to leave and my always charismatic, and attractive, brother-in-law wouldn’t settle for the disappointed look in my eyes. He turned around said a few nice things(begged) to the young woman at the door and suddenly I found myself inside the bar, custom glasses and all. Now that I was in I realized I wasn’t checking the website properly and that there must be another section that would have explained this whole event to me, and indeed there is. But that didn’t matter I was inside one of the most interesting and dedicated craft beer bars in Canada during one of the most desirable and exclusive events in the beer world, one of only 56 such simultaneous events across the globe. We walked outside to the small deck at barVolo and waited, with tokens in hand, for beer. The Zwanze was the first up as we had to taste the reason everyone was there. It was a blended lambic/kriek and it was great, no, AMAZING. One of the things I love about the Cantillion offerings is their subtlety and balance. Their beer is aged sour beer but it is always done masterfully and delicately. The Zwanze beer this year was definitely brewed to the regular Cantillion standards and then some. Done as a special brew for his son’s 18th birthday this blended fruit beer was exceptional. With just a hint of hops and super smooth is was a great way to start the afternoon. I suddenly started feeling exceptionally lucky. The famed Cantillion brew Fou’ Foune was already sold out when we got inside; this beer tends to elude me but there were at least 10 other sour beer bottles to try so I wasn’t going to go wanting for beer. Next up I tried Cantillion Gueuze it was quite lovely, as always. Next we had Mikkeller Stella 2, Cantillion Grand Cru, Dieu Du Ciel! Solstice D’ete Aux Cerises(the raspberry is more to my liking) and Brasserie Thiriez/Jester King La Petite Princess an astounding mild, light bodied farmhouse ale from France. Bubbly, fragrant, yet exceptionally musty and wild La Petite Princess was a stand out for me as it’s a lower ABV beer that really performs. Next we stepped back inside to line up for the local taps. Nickelbrook Kentucky Sour was up first and really was a departure from the foreign sours, which was refreshing. Kentucky Sour was very well barreled and almost chocolate like with hints of umami. On to the final beer, I can remember trying a month later, and the highlight of the event, for my tastes the, House Ales/Shacklands Flip Side. Flip Side is an absolutely amazing brett IPA with Galaxy Hops. It was everything I love about a brett IPA. Decent body, reasonable ABV(5.X%), exceptional hoppy aroma(Galaxy’s classic tropical fruit and citrus abounded in this beer), flavour and bitterness with that perfect brett dryness to finish it all off. If I could invent a time machine I would do it JUST to go back and try this beer again, it was that good, probably my beer of the year for 2014 and it’s been a big one for me. 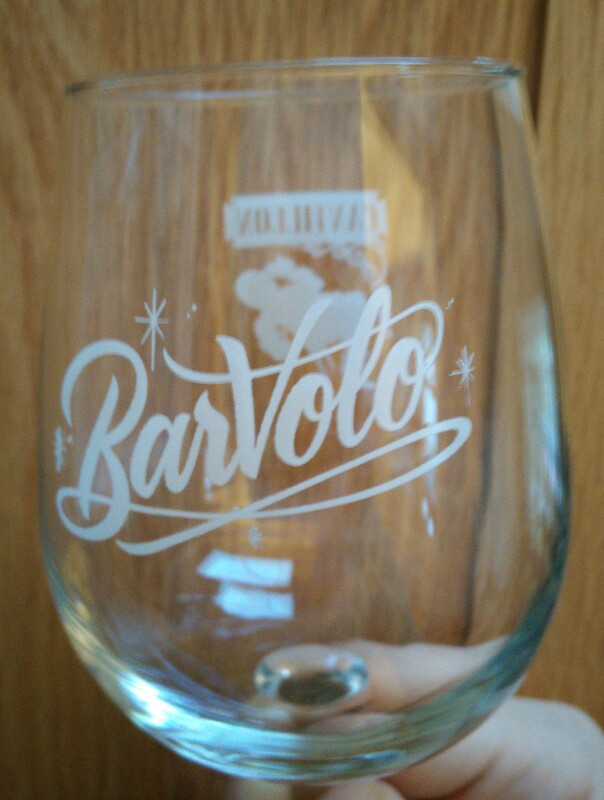 BarVolo is incredible and their Funk Night event is NOT to be missed. If you’re in the Toronto area or visiting there, go right now and have a pint. Cheers, WCBL. This entry was posted in Beer, Beer Events by rogerdandy. Bookmark the permalink.